Tyranny of Metrics is an impassioned essay on the unintended, and often disastrous, consequences of fealty to data over experience-based personal judgement. Our modern world arose accidentally, amid a folly of Reason. Revolutionary France, passionate to overthrow the old world of kings and their whims, posited a world informed by Enlightenment-style rationality. Months named for Roman gods were replaced with 12 units, each with three 10-day weeks (and five or six days of rational celebration to finish the year). In the Notre Dame Cathedral, the statue of the Virgin Mary was replaced with a Goddess of Reason. Most fatefully, several hundred local systems of measurement across France were replaced with the metre, a standard based in part on an erroneous estimation of Earth’s arc. Established in 1799 and followed by other standardised measures, a system that grew from an abstract attachment to reason truly revolutionised the world. It gave us the Industrial Revolution. Patents stated how things could be built, but uniform machine tooling and identical execution by blueprints with standard metres and inches enabled factories of identical mass production. These made products of uniform quality, creating reliable experiences of consumption. In turn, these were regulated to promote public health, and fetishised by modern advertising and branding as reliable fulfillments of desire. Much good may have resulted from our transformation of the world, but we have also come to a new phase of logical lunacy, argues Jerry Z. Muller, a professor of history at the Catholic University of America. 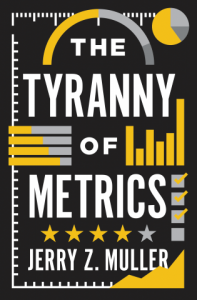 His new book, “The Tyranny of Metrics,” is an impassioned essay on the unintended, and often disastrous, consequences of fealty to numbers over experience-based personal judgement. Metrics have been in the background for a long time, across much of our world. Uniform police behaviours and procedures for court evidence began with standard measurement. We filled standardised factories with workers paid by the standardised hour (incidentally changing human sleeping habits, so we could be at work on time). And in time, we created the idea of “scientific management” — the standard measurement of worker behaviours first championed by Frederick Winslow Taylor in 1911. 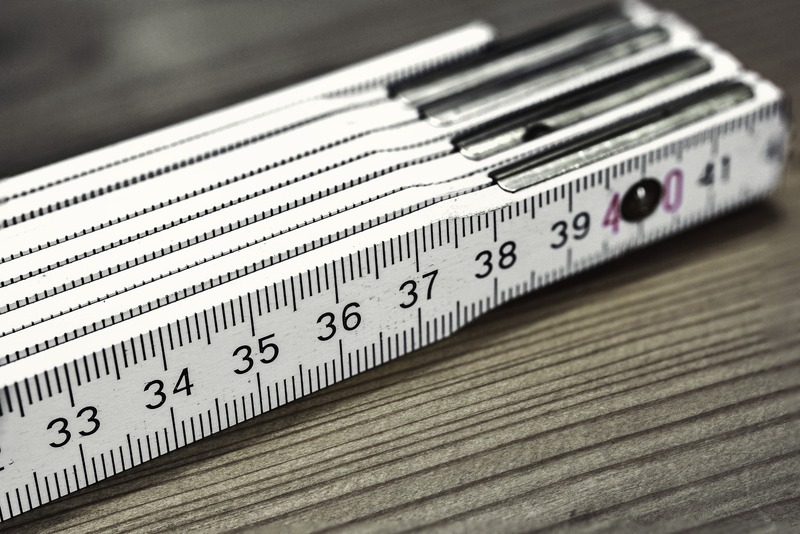 To a great degree, measuring and managing has proven a wonder. When one looks at rises in national GDP over the past several centuries, the most striking increase happens not with industrialisation alone but with the rise of managed bureaucracies. Yet a passion for number-based outcomes has also created disasters. Robert McNamara based his Vietnam victory strategy on body counts. This effort to make death correlate to loss of a will to fight led to an escalation of US violence, along with cynical “book cooking,” like counting water buffalo and peasants among the dead of the Viet Cong. There was also the Soviet Union’s dedication to the agricultural and industrial goals of various five-year plans (including projects like a five-year plan to dominate chess), no matter what the human cost. Muller touches on McNamara, then delves into a series of newer metric misadventures: hospitals gaming admissions to juice their numbers, police mischaracterising crimes so they’ll look good in the data, billions in misallocated foreign aid, and the 2008 global financial crisis. In nearly every case, bad data was treated as a form of truth, and manipulated by its collectors to suit a poorly conceived data-based rewards system imposed from afar. This phenomenon of assuming that “data” in any form is a type of higher truth has been around for some time. Maybe it is a result of the undeniable success of the hard sciences in the modern world; the data of the lab have cured disease and taken us to the moon, while too many people, poets, and philosophers continue to spin their wheels. Often, the humanities adapt the metric habit. We have seen the boom in mathematical logic in the philosophy market, or the rise (and stumble) of econometrics in what used to be termed the “moral philosophy” of economics. Elsewhere, a craze for STEM education has raised the certainties of science, technology, engineering, and mathematics over the perhaps more soul-growing studies of literature or religion. Today’s information society fetishises supposedly rational measurement. We speak admiringly of people and organisations being “data driven,” and yearn for “outcomes-based” lives carried out in “transparency.” We praise the tough love of “radical truth” and “complete honesty” in our relationships. The good people of the Enlightenment, a Voltaire or a Samuel Johnson, could never dream of a society that thought artifice was unnecessary for civil conduct. If one were looking for an abused metric in modern American higher education, where it is statistically harder to find a C (average performance, thus supposedly most common) than an A (outstanding and rare performance), it would be hard to beat the “insight” of grades. Elsewhere, Muller depends too much on anecdotes, like a British fund manager who stopped awarding bonuses to executives in an effort against short-termism, or two British policemen who criticised the way their colleagues ranked and reported crimes. Conversely, the most valuable part of the book is a 10-step checklist at the end to help people decide whether and how to use metrics. It takes data and rigour, it seems, to fight the tyranny of data. Measurement may be modern, but Muller has identified a timeless problem: the desire to impose on our chaotic reality a grid — the start of some kind of certainty — and the way the world proves this a folly. The strange Goddess of Reason is long gone from Notre Dame, but not from our data-driven lives. It’s hard work, being good. Data alone will not get us there. Quentin Hardy is director of editorial at Google Cloud, Google’s enterprise computing and software business. He was previously deputy technology editor at The New York Times, and has worked at Forbes and The Wall Street Journal.